The archaeological sites of Mycenae are the imposing ruins of the greatest city of the Mycenaean civilization, which dominated the eastern Mediterranean world from the 15th to the 12th century B.C. and played a vital role in the development of classical Greek culture. This city is indissolubly linked to the Homeric epics, the Iliad and the Odyssey , which have influenced European art and literature for more than three millennia. 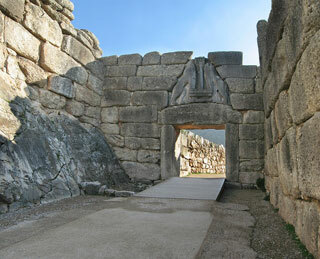 This article uses material from UNESCO World Heritage List article "Mycenae", which is released under the Creative Commons Attribution-Share-Alike 3.0 IGO License.